Schedule 80 black iron pipe is made from wrought steel. 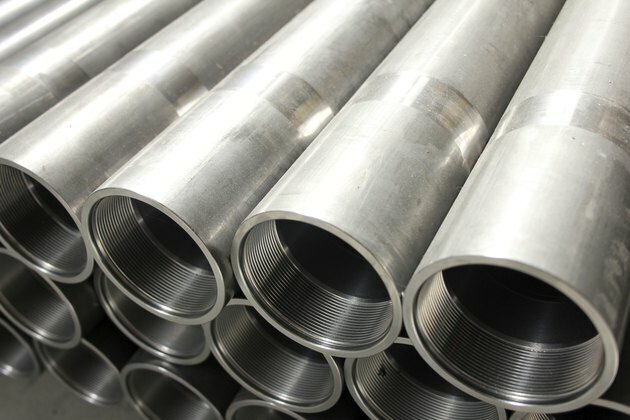 It is a step up in strength from Schedule 40 pipe and is usually used in high-pressure or high-temperature applications, such as transferring steam or natural gas. 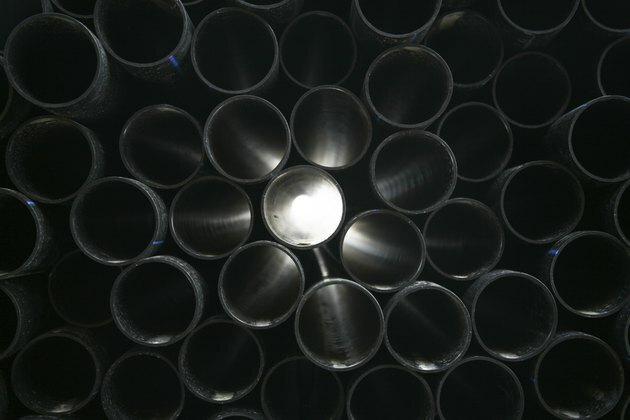 The burst pressure of a pipe is defined as twice its wall thickness, times the tensile strength in pounds per square inch (PSI) divided by the outside diameter of the pipe. Because the strength and thickness of Schedule 80 pipe don't change much by size, the rule of thumb is that the smaller the diameter of the pipe, the higher the service and burst pressures for which it is rated. Larger Schedule 80 pipe that is used for internal installation ranges from 2 inches to 3 1/2 inches in diameter. A 2-inch pipe is rated for 920 PSI of continuous service pressure and will burst at 7,340 PSI. Pipes 3 1/2 inches in diameter have a service rating of 990 PSI and a burst pressure of 7,950 PSI. 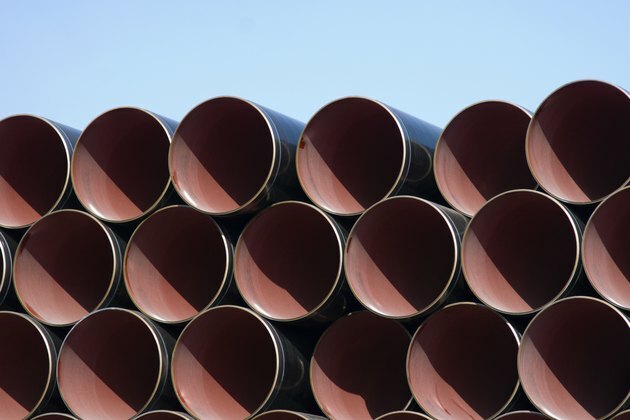 At 4 inches in diameter and above, Schedule 80 pipe is specified in whole-inch measurements, all the way up to 18 inches. 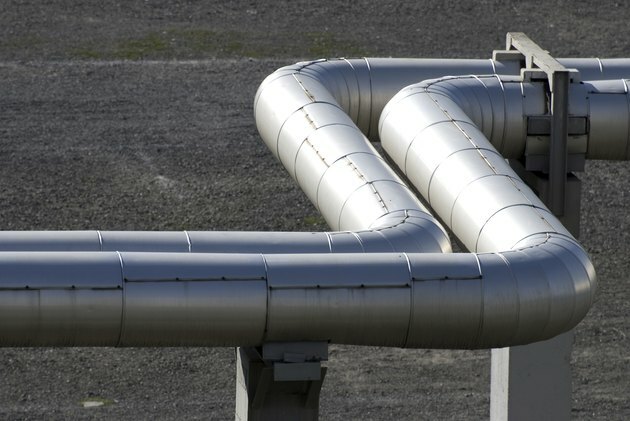 This pipe is usually used for long distance distribution of pressurized liquids; pressure ratings do not vary from size to size to the extent found in smaller pipes. At 12 inches in diameter, the pipe has a service pressure of 490 PSI and a bursting pressure of 3,910 PSI. What Type of PVC Pipe Should I Use Underground? 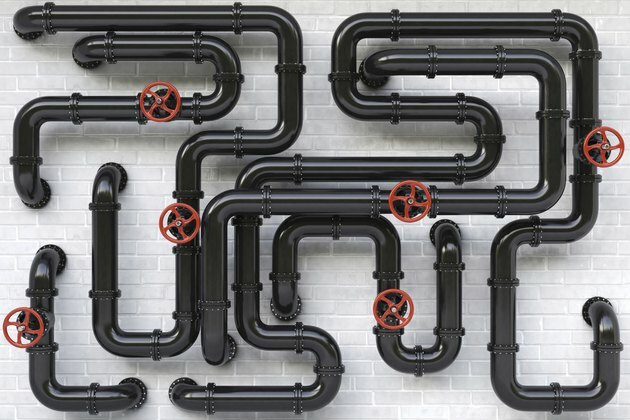 What Is the Difference Between Schedule 40 & Schedule 80 Pipe? What Size Wire Is Needed for a Welder?